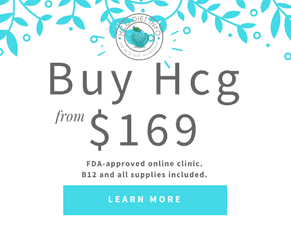 Any/all of the links on HCGDIETINFO.com are affiliate links of which we receive a small commission from sales of certain items, but the price is the same for you. 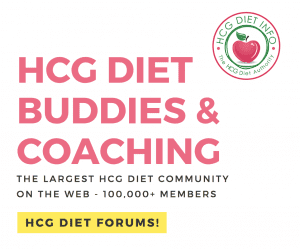 As HCGDIETINFO.com has grown, so have costs associated with running and maintaining it, and affiliate links are a way we help offset these costs. Jen/HCGDIETINFO.com is a participant in the Amazon Services LLC Associates Program, an affiliate advertising program designed to provide a means for sites to earn advertising fees by advertising and linking to Amazon.com or or endless.com, MYHABIT.com, SmallParts.com, or AmazonWireless.com. Pages on this site may include affiliate links to Amazon and its affiliate sites on which the owner of this website will make a referral commission. If an affiliate link is posted to a product, it is something that we personally use, support and would recommend without an affiliate link. Unless otherwise noted, all reviews are of items that have been purchased, and no one was paid or compensated in any way. This is a personal policy of Jen’s as she wants to make sure that all reviews are unbiased and of trusted products. 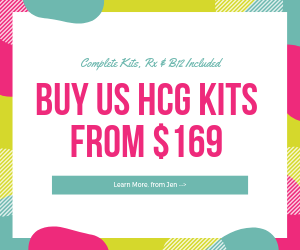 Thanks so much for reading Hcgdietinfo.com and if you decide to purchase something through any of my affiliate links, I really appreciate your support!